Lebanon is a country built on dichotomies. It is a blend of cultures, poised at the intersection between the Western and Arab worlds. 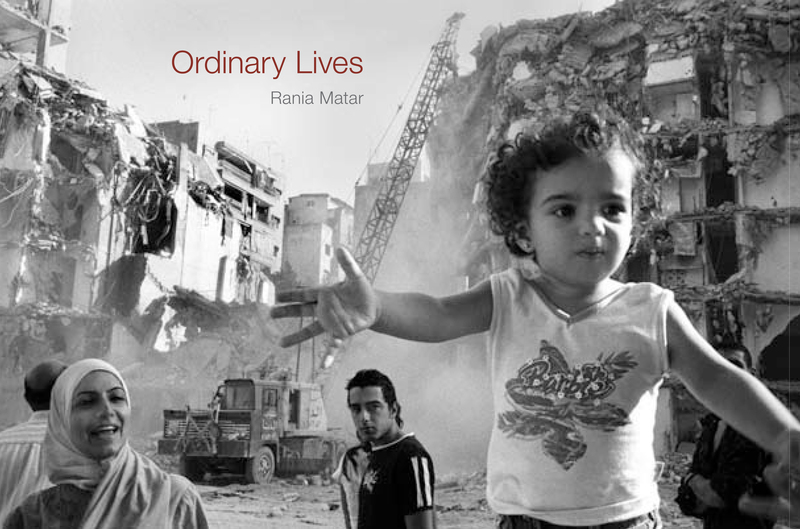 Born in Beirut and living in the West, photographer Rania Matar is especially attuned to those dichotomies. Here she honors the lives of the women and children of Lebanon in evocative black-and-white photographs. They convey the many facets of life, acknowledging the undeniable presence of war and tragedy, yet celebrating the strength, dignity, and humanity of lives lived amid the rubble, in refugee camps, or behind the veil. These images are universal reminders of the tender bond between a mother and child, the cheerful camaraderie of friends, and the resilience of the human spirit. Accompanying these photographs are excerpts from the poetry of celebrated Palestinian-American author Lisa Majaj. 100 duotone photographs.